London is a truly natural choice for many famillies. Many people will have travelled to London at least once in their lives, and it’s hard not to understand why. It’s the seat of the British Empire, the city of culture, arts, architecture, food and… shopping (if you can afford it!). As Samuel Johnson famously said, “When one is tired of London, he is tired of life.” All attractions detailed here are near the city centre and easily accessible (all are centred around Zone 1 on the London tube map). I also have a long affinity with this city due to my 5 years in the UK as a student. A recommended itinerary is to start your day (after breakfast at your hotel or a nearby café) at Buckingham Palace to see the Changing of the Guards, which takes place at 11.30 am daily from May to July, and on alternate dates throughout the rest of the year. This ceremony takes about 45 minutes and will delight adults and children alike. Take the tube to Green Park Station, Victoria Station or St James Park station and walk for c.10-15 minutes. The State Rooms at the Palace are also open to visitors during the summer (Open July-Sept). For details, visit http://www.royalcollection.org.uk/visit/buckinghampalace/plan-your-visit and http://www.householddivision.org.uk/changing-the-guard. It may be a little tiring for the kids, but the next recommendation is to take a walk along The Mall to Trafalgar Square. It should take no more than 15-20 minutes unless you stop to take pictures or admire the architecture along the way. Alternatively, take a longer but more scenic walk along St James Park which is one of London’s most beautiful parks. 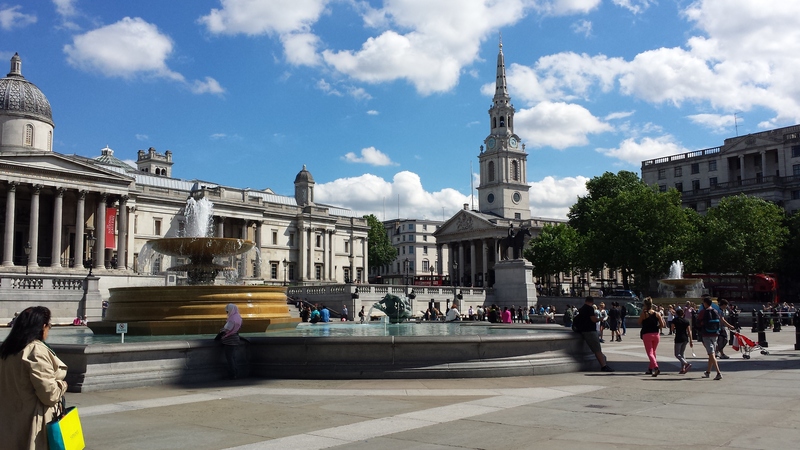 Once at Trafalgar Square, enjoy being in one of the most iconic locations in London, rest your feet and feed the pigeons (although it’s technically not allowed). If you like art, the National Gallery is right across and it’s free. 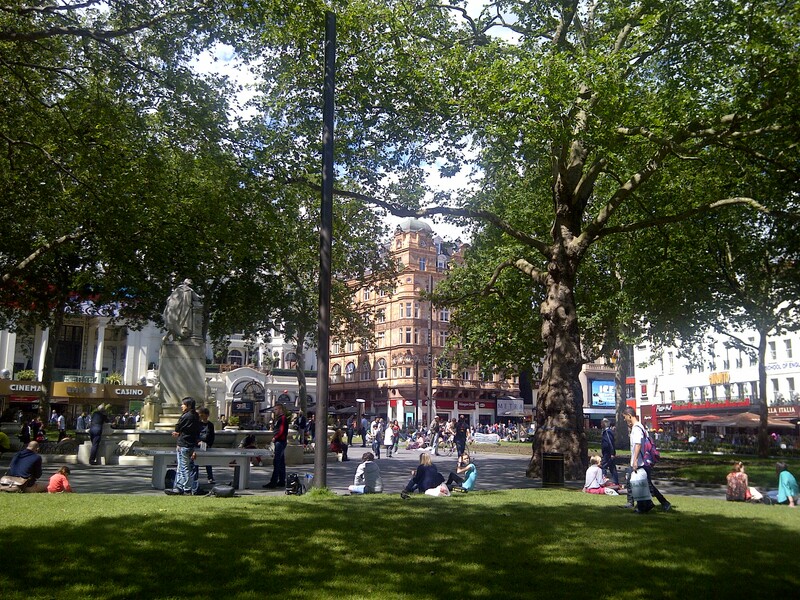 From there, take a bus to the hustle and bustle of Leicester Square. Here you can relax and stop to have lunch at one of the many restaurants and eateries. There’s plenty of international delicacies here, including seafood or Asian options. We liked the Japanese restaurant Misato on Wardour St. Walk east for a few blocks into Covent Garden, where you will see a myriad of human status and entertainers trying to persuade you to part cash from your wallet. The London Transport Museum and Royal Opera House are also here. Our favourite spots are out in the Piazza to watch the entertainers and the craft and food market where we once had the most yummilicious sweet crepes. 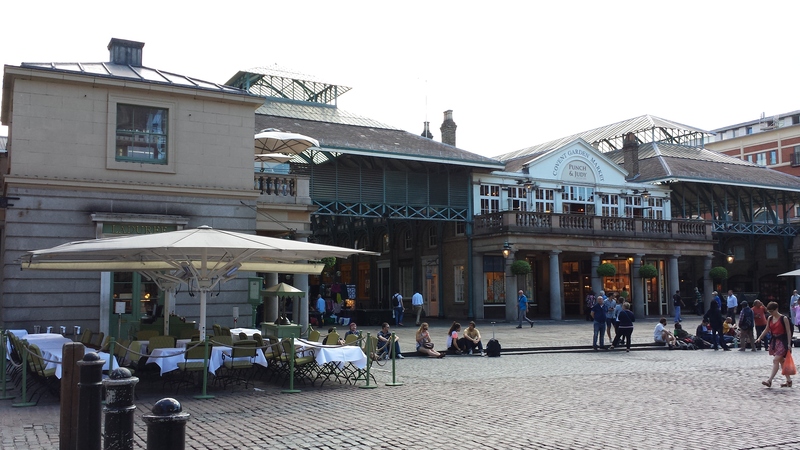 A pic I took at Covent Garden, summer 2014. 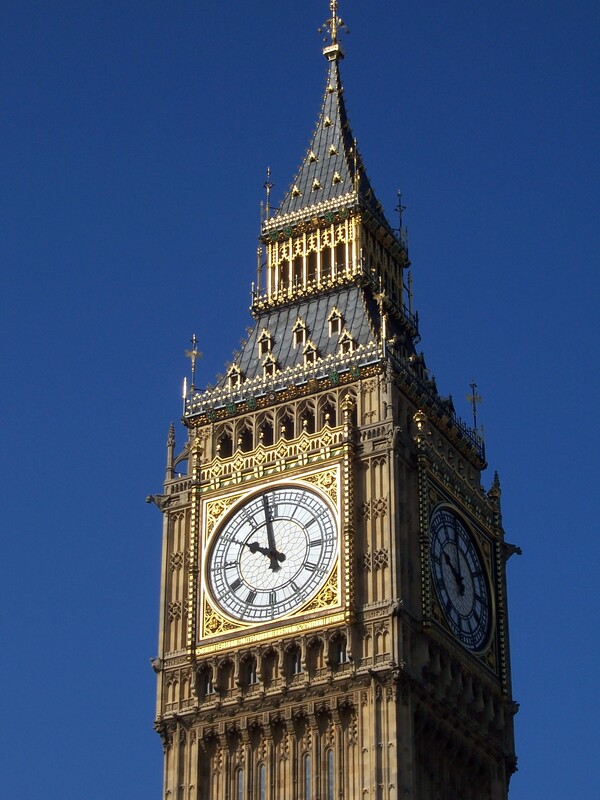 From Covent Garden, take the tube down to Westminster station where you can go and view the world-famous Big Ben (officially known as Elizabeth Tower) and Westminster Abbey and the Palace of Westminster (the Houses of Parliament). Try to be there on the hour, which is when the bell will strike. 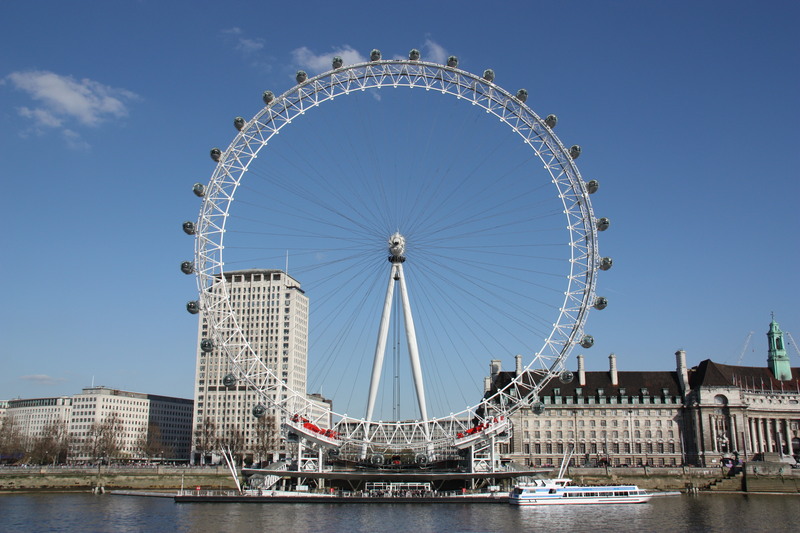 Cross the Westminster Bridge (the oldest bridge across River Thames) into Thames Path, Southbank where you will also see the Old County Hall (London Aquarium and National File Museum) and the London Eye wheel. There is now a lot of hi-tech experiences in addition to the 30-min capsule ride, such as a 4D experience interactive guides. Book online to skip the queue and to obtain lower prices at http://www.londoneye.com/. The Tower of London is a historic castle which used to be an official residence and also a prison for the middle and upper class members of society. To get there, take the tube to Tower Hill on the Circle and District Lines. Alternatively, you could take the river cruise from one of the stops on Southbank and travel by boat on the scheduled river services that stop in front of the Tower of London at Tower Pier. Buy tickets online to skip queues, but you still need to queue to see the famous Crown Jewels. See http://www.hrp.org.uk/TowerOfLondon/ for more. From the Tower of London, walk to the nearby and iconic Tower Bridge (mistakenly assumed by many to be the London Bridge referred to in the infamous children’s song). It was built in 1894 and opened to the public since 1993. You can walk across the bridge, except if you are lucky to witness the bridge raising for ships to pass through. London museums are amazingly free and open to everyone of all ages. If you have more than a few days, we definitely recommend a visit to the museums (British Museum is the highest-visited, but with kids we recommend Natural History and Science Museum for kids) and art galleries (Tate Modern focuses on contemporary art while Tate Britain displays British Art from the sixteenth century to the present day). No visit to London is complete without some entertainment. Visit one of the world-famous musicals at West End (discount tickets are available through the booth in Leicester Square, so don’t forget to buy them when you were at the Square earlier) or take a tour through the new Warner Bros. Studio Tour London: The Making of Harry Potter, which is about 20 miles from North-West London (either rent a car to drive there or take the train to Watford Junction, after which you can travel to the studio by shuttle bus). We haven’t been there yet ourselves, but we definitely would! Do love boat rides on the Thames. Day or night. I agree! I should add that.